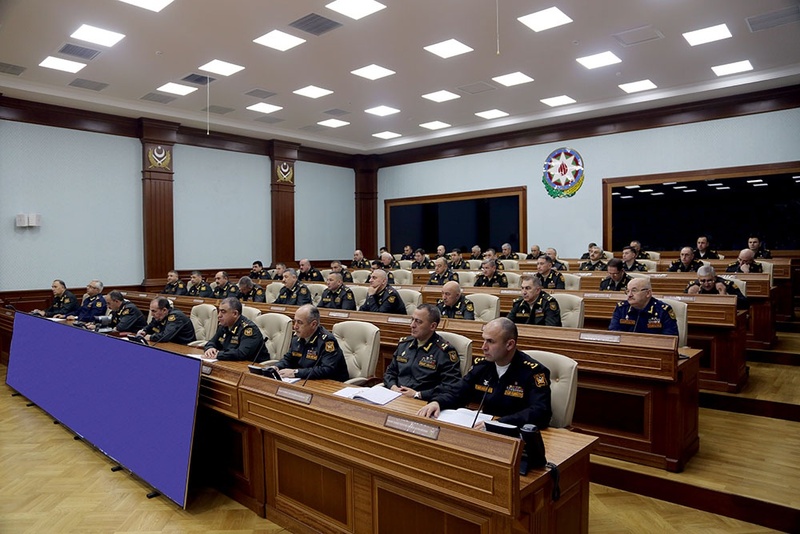 Defense Minister: "The combat capability of the Azerbaijan Army is one of the main factors in ensuring the territorial integrity of the country"
Our army must be ready for military operations at any time. 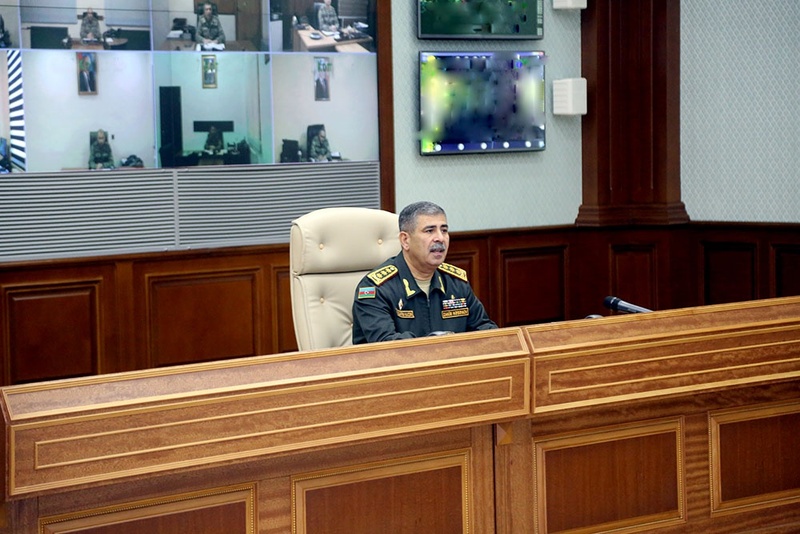 An official meeting under the leadership of the Minister of Defense Colonel General Zakir Hasanov was held at the Central Command Post on January 5. Recalling the congratulations of the President of the Republic of Azerbaijan, Supreme Commander-in-Chief of the Armed Forces, Mr. Ilham Aliyev, addressed to the people on the occasion of the Day of Solidarity of World Azerbaijanis and the New Year, the Minister of Defense emphasized the assessment given to our army in a holiday address and brought to the attention of the meeting participants the specific tasks assigned to the military personnel. 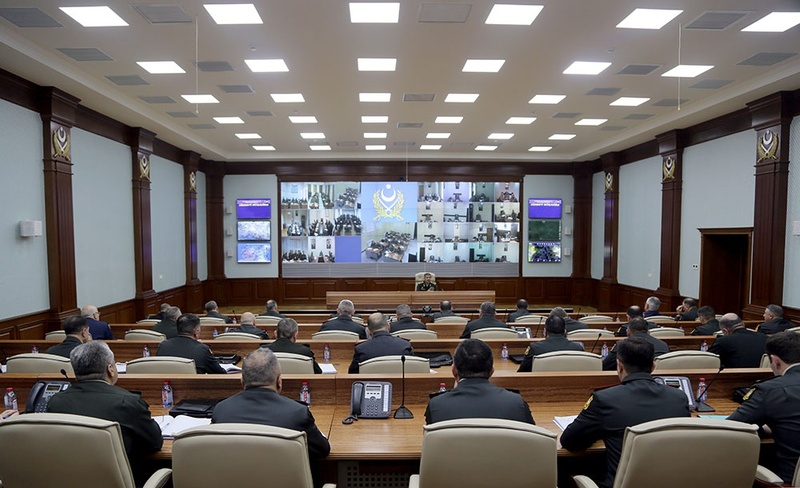 The Minister of Defense, analyzing the current situation on the line of contact of the troops, spoke about the successes achieved, as well as the work to be carried out in 2019. Touching on the activities of all types and branches of troops of the Azerbaijan Army, Colonel General Z. Hasanov demanded that the participants of the meeting focus on combat training, operational, continuous and covert control of troops, the defense stability system, the improvement of interoperability, the continuous enhancement of professionalism of the command staff, strengthening the education, patriotism and fighting spirit of military personnel, the health of servicemen and other aspects of combat support. During the speech, the Minister of Defense emphasized that, as stated by the head of state, the strong military potential of our country and the combat capability of the Azerbaijan Army are among the main factors in ensuring our territorial integrity. Colonel General Z. Hasanov has stressed that the military personnel should not be content with the achieved success. "We, constantly improving the activities of the troops at the tactical, operational and strategic levels, as well as maintaining superiority over the enemy, must be ready for combat operations at any time."